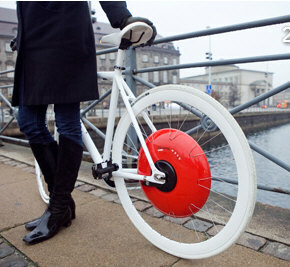 The Copenhagen Wheel project is an initiative from MIT which turns your ordinary bike into an electric version via a retrofit wheel motor. 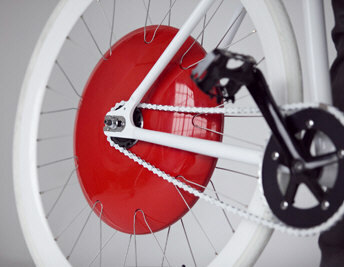 The idea of slotting an electric motor into a wheel replacement is not new of course, but this concept goes one further by incorporating all the electrics and battery in the hub, as well as a set of sensors which can offer monitor the environment and your journeys and connect to city information services to provide an all-round service. As well as the basic techno lovelies, the whole system is smartphone controlled, which means you get a full two-way communication thing going with your bicycle in ways you would never imagine. Find optimum bike routes, monitor traffic and pollution patterns, check your workout and fitness from your cycling habits, even lock the bike remotely via the handset. It’s all incredibly clever, although the one thing it fails to take into account is a strong set of bolt cutters and a criminal intent.